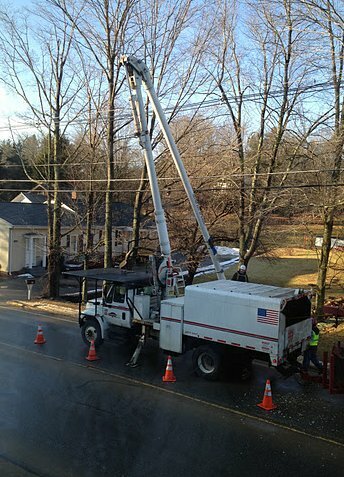 The Lewis Tree Service was active on Route 148 this week removing branches that have the potential to interfere with the National Grid power lines. How well did they do? Well, they did spend a lot of time in the 1/4 mile in front of our house, and part of that time was repairing the chute that guides wood chips into the back of the truck. I guess only time will tell, but the effort is acknowledged.